Home » About Us - Buy cheap print online! 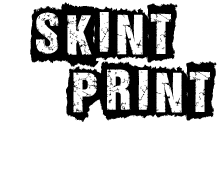 Skint Print is the UK home for cheap print online. We are a Leeds based printer who offer high quality lithographic print with FREE delivery. We offer everyone the easiest possible experience to buy cheap print online. Based in Leeds, West Yorkshire, Skint Print is the UK’s one-stop-shop for all your printing needs. We are the home of online print: Flyers, leaflets, folded leaflets, business cards, letterheads, compliment slips, brochures, magazines, greetings cards, posters, banners, point of sale and much, much more. All our prices include FREE nationwide delivery within 7 days. No gimmicks, no special offers, no hidden costs. Just low, low prices available 365 days a year to everyone. Good, honest, Yorkshire value. 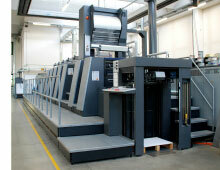 We print everything lithographically using our full colour B1 and B2 Heidelberg printing presses, the best in the business. Don’t accept inferior digital print or clapped out old printing presses. We know that to meet the demands and standards of our customers we can’t scrimp and save on gear. We guarantee bright, vibrant colours and finishes on the highest quality stocks. Order a FREE sample pack today, you won’t be disappointed. We’re flexible and you can talk to us, get in touch. We don’t just do the basics like some online printers. Our knowledge and experience will get your fully customised project printed to the highest standards. Get in touch today for a bespoke quote. We rely on word of mouth so that everyone can take advantage of our high quality litho print. Buy cheap print online from us today and once you get your order please leave us a review on any of the following independent review sites to receive £5 off your next order.